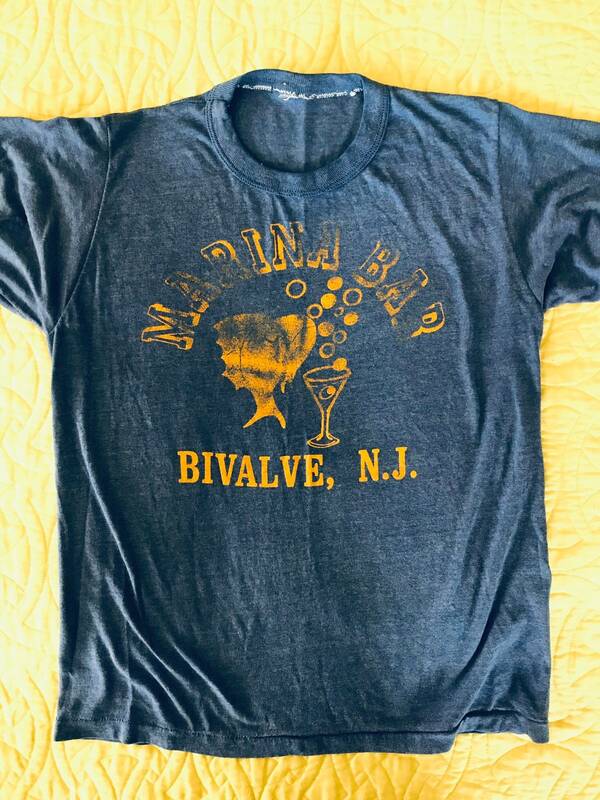 Super soft and perfectly worn vintage tee! 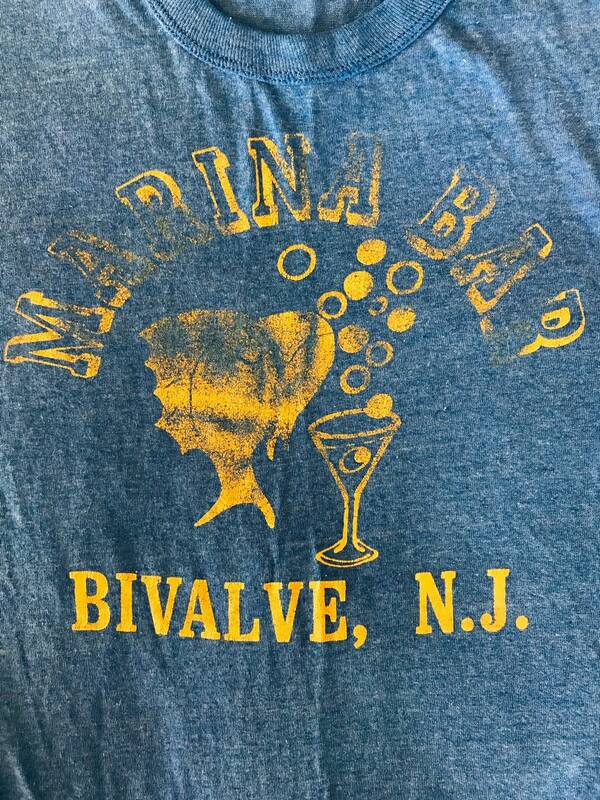 From the Marina Bar in Bivalve, New Jersey. Fits like a small. Measurements taken flat: bust/chest 18, hem width 18, length from shoulder to hem 23.